Fun kids’ app for hiding God’s Word in your heart! 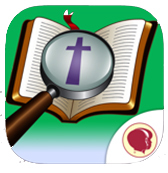 Teach your children to hide God’s Word in their hearts with this interactive children’s app! Will you join in on the fun and exciting ways to remember the treasures of God’s Word? It’s time to Hide it! Follow this link to download the app for iPhone, iPad or iPod. Also available for Android devices. Learn what the verse means as key words or phrases are explained. Be challenged as applications are made based on each verse. Learn this verse by singing it karaoke style! You will enjoy singing the song over and over and before you know it, you will remember the verse! Engage in fun, interactive puzzles designed to help you memorize verses and reflect on their meanings. Add your personal touch to the illustrations by coloring them in! These illustrations will help you to remember the meaning and applications of the verse. The app includes a unique Parent Portal that helps you take an active part in your child’s Bible learning experience with tried and tested materials based on nearly 80 years of CEF experience in children’s ministry.